Teaching is a career that is truly rewarding, mainly because it gives one the opportunity to make a difference in the lives of students. A teacher is able to influence and impact our future in a very significant way. If you are interested in becoming a teacher in Florida, here are the steps you can take to do so. The first question you must ask yourself is what level you see yourself teaching. Do you see yourself thriving in an elementary school environment? Would you, perhaps, enjoy teaching high school or becoming a special education teacher? This is an important question to answer before diving further into the teaching requirements in the state of Florida. Depending on which of these options you choose, there are certain steps that you must follow. The Florida Department of Education has information on students and educators in the state, which could help you make your decision. To become a certified educator in Florida, one must have a minimum of a Bachelor's Degree and complete a state-approved teacher education program from an accredited institution of higher education. Teacher education programs are usually comprised of two elements, college coursework and fieldwork. Candidates will take classes covering a breadth of areas, including subject-based teaching methods, differentiated instructional strategies, classroom management, technology integration, and more. The fieldwork portion of the program includes classroom observations, student teaching, and/or interning. While student teaching, candidates will take over a class under the guidance of a mentor teacher. Student teachers will prepare and implement lessons, assess student progress, monitor classroom behavior, and more. Often times, student teachers will be required to prepare a culminating portfolio. 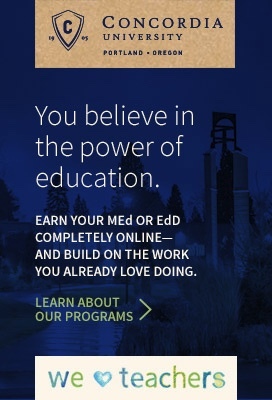 The teacher education program must be accredited by CAEP (Council for the Accreditation of Educator Preparation), which is a combination of two former accrediting agencies known as NCATE and TEAC. The Florida Department of Education website has a list of all of the campuses located in the state that offer teacher preparation programs that are approved. Keep in mind that you can also complete a teacher preparation program online, as long as it is accredited. If you decide to become a teacher early on in your college career, you should be able to complete a teacher education program while fulfilling the requirements for a Bachelor's Degree, this is referred to as the traditional or joint pathway. However, if you already have a degree, you can participate in an alternative or post-baccalaureate teacher education program. Many institutions even offer joint Master's Degree and educator certification programs. Florida offers several alternative pathways to professional educator certification. Florida offers reciprocity for Out-of-state Teachers. There are two routes for out-of-state teachers to qualify for a Florida Professional Certificate. If you already have a Bachelor's Degree, another alternative pathway to licensure is through the American Board for Certification of Teacher Excellence (ABCTE). The American Board is a program that helps people become teachers in Florida. Since 2004, the Florida State Board of Education has approved the American Board as a route to full teacher certification. Another alternative route is through college teaching experience. If you have two (2) semesters of full-time college teaching experience and passing scores on the applicable Subject Area Examinations, you could be eligible for Florida certification. The next step to becoming a certified educator in Florida is to pass the required tests. In Florida, testing is is administered through the Florida Teacher Certification Examinations (FTCE) or can be taken through the Praxis series of exams. Candidates will need to earn passing scores on the Florida General Knowledge Test, which assesses the candidates skills in basic reading, writing, and mathematics. This test is generally made up of 120 questions focusing on general pedagogical questions. This test will assess the candidate's competency in the subject that they will teach. A candidate should earn a passing score on their subject tests in order to be able to apply for certification in that area. Make sure that your social security number or Florida DOE# is printed legibly on all accompanying documents. Keep in mind that your application package will not be evaluated until all components are received. After completing the above steps, you will be fully prepared to find the classroom of your dreams! You will be ready to positively influence and impact Florida's future in a very significant way. 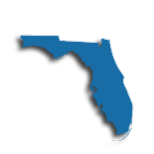 Florida's Bureau of Educator Recruitment maintains the website in order to provide assistance to educators, potential educators, and school district staff. Teaching jobs in Florida are experiencing some growth on par with national trends, especially in the areas of STEM, Special Education, and bilingual instruction. Once hired, teachers become part of the Florida Education Association (FEA) and if interested, the Florida Association of Teacher Educators (FATE). Both of these organizations provide strong support for teachers at every level of their career and professional development. Alternatively, teachers can pursue employment in one of Florida's 2,270 private schools, which serve over 350,000 students. Significantly more than half the schools in the state have religious affiliations; some are single-gender, and many pursue superior academic standards. Teachers in private schools may find that pension, career opportunities, and salary are much different than in the public system. Finally, upon retirement, public school teachers are eligible for a monthly pension through the Florida Retirement System (FRS) as well as investment advice. The table below lists the number of public school teachers in Florida by grade level during the 2012-2013 school year. There are more than 1,700 private schools with an estimated 23,700 private school teachers in Florida. The table below details the number of teachers by grade level during the 2011-2012 school year. Teachers are required to engage in professional development on a regular basis throughout their career. The purpose of these activities is several fold. Professional development increases student learning, gives teachers the tools to enhance classroom instruction with subject-relevant materials, prepares students to advance academically, and to enhances a teacher's professional contributions to their school, district, and community. In the state of Florida, there are standards for PD at the educator, school, and district level. Professional development offers opportunities for individual and collaborative growth. Recently, the Florida has merged the two main sources of professional learning resources - Florida School Leaders (FSL) and Start with Success (SWS) into one repository found on the redeveloped FSL site. Teachers that require access to the FSL site can access through their district portal with their individual credentials in order to inquire about further professional development opportunities. Becoming a Florida Certified Professional Teacher means getting into a career-long program of continuing college education. Every five years, you'll have to accumulate at least six semester hours of college credit in order to renew your certificate. Up to three of the credits can cover other subjects, unless you are renewing multiple subject coverage areas. All credits, however, must be awarded by an institution either accredited or approved by FLDOE or by ACE (the American Council on Education). Although you are not required to use graduate-level college credits for renewals (and it is possible to find equivalencies in inservice hours, subject matter exams, or NBTS certification) there are other good reasons to do so as part of an overall plan to earn a master's degree. The biggest benefit of using a master's to meet continuing education requirements is your potential pay rate bump. Most Florida school districts use a form of the conventional step and lane system, but unlike many states, you must earn a master's degree to earn an advanced degree supplement. Additional credits at either the graduate or baccalaureate level are insufficient. Additionally, only a master's degree in your area of certification is accepted for this purpose. Depending on your district, this supplement can range between $1,000 and $4,500 per year, so it's smart to focus your renewal credits on an appropriate master's program. This is even true for teachers on the state's Grandfathered Salary Schedule as the details for performance-based pay incentives are described under the 2011 merit pay bill.